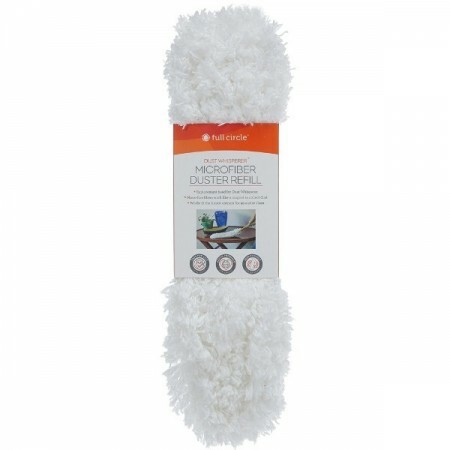 Full Circle dust whisperer replacement microfiber duster, for use with the Dust Whisperer handle & frame. The Dust Whisperer is designed with a microfiber head that works like a magnet to collect dust. 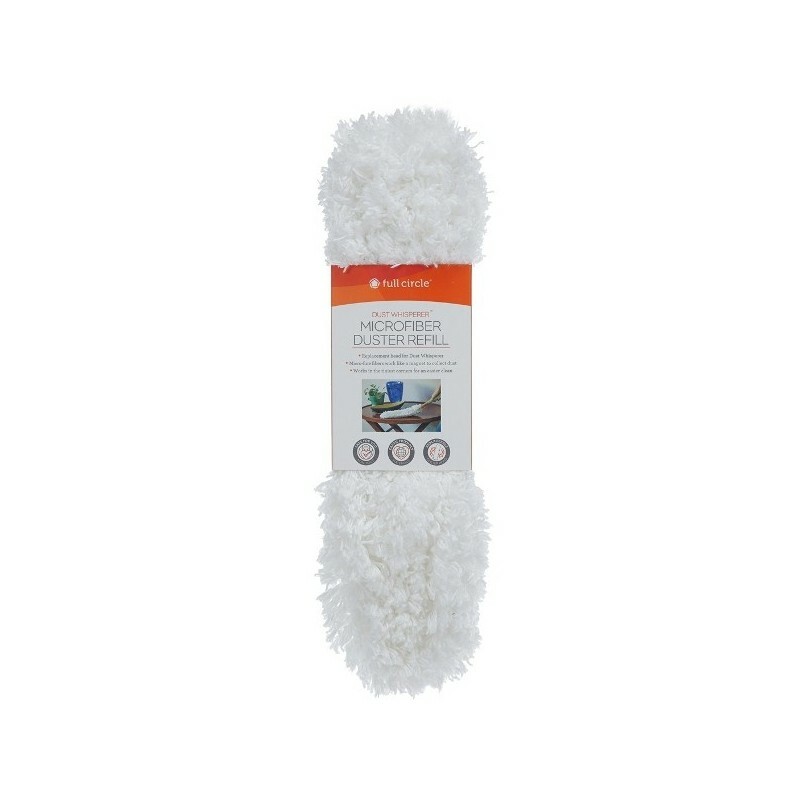 It is great for general dusting, bookshelves, baseboards, ceiling fans and more. Replaceable heads reduce unnecessary waste. Microfiber head is machine washable - simply unhook elastic to remove microfibre head from the handle frame. The microfibre duster is very effective, however when it gets too dusty, it begins to push the dust off rather than collect it on the fibres. Which is a great reason to have two if you are doing a big house clean. I absolutely love the fact these are washable, and maintain their shape and effectiveness many washes later.